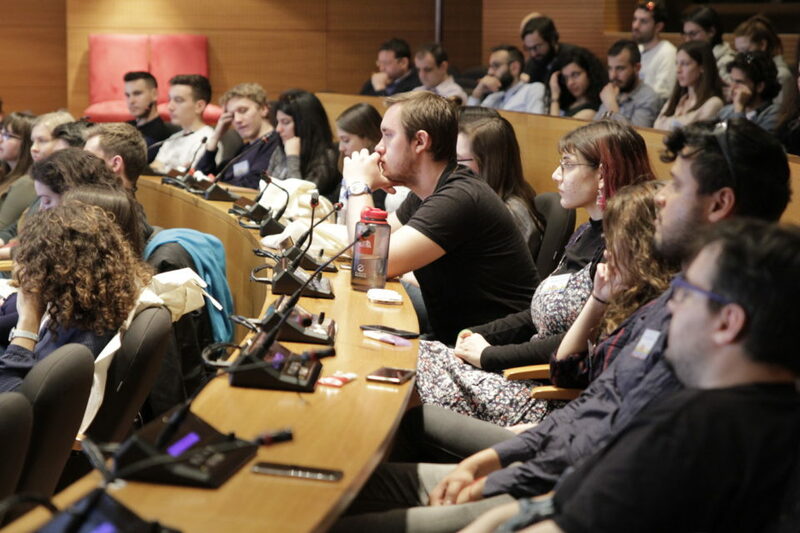 120 people gathered in Thessaloniki, Greece – all with an open mind to learn, create, and innovate ideas on the topic of Smart Cities. 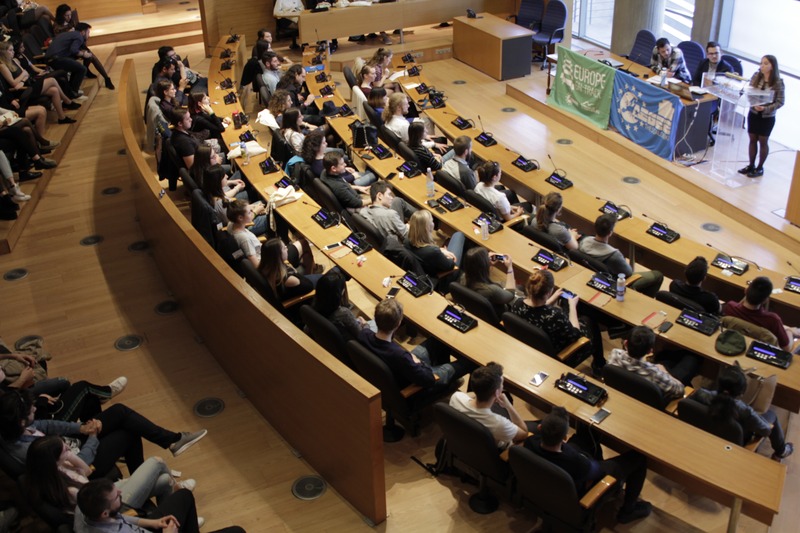 There were many important issues brought forward, presented by great speakers, AEGEE members, and participants. The atmosphere throughout the entire conference was positive and imaginative as everyone worked off of each other in a team-oriented network. The powerful sessions and workshops each presented their own unique characteristics with a solution-based approach. The opening ceremony was full of warmth as everyone gathered together at the City Hall, full of energy! 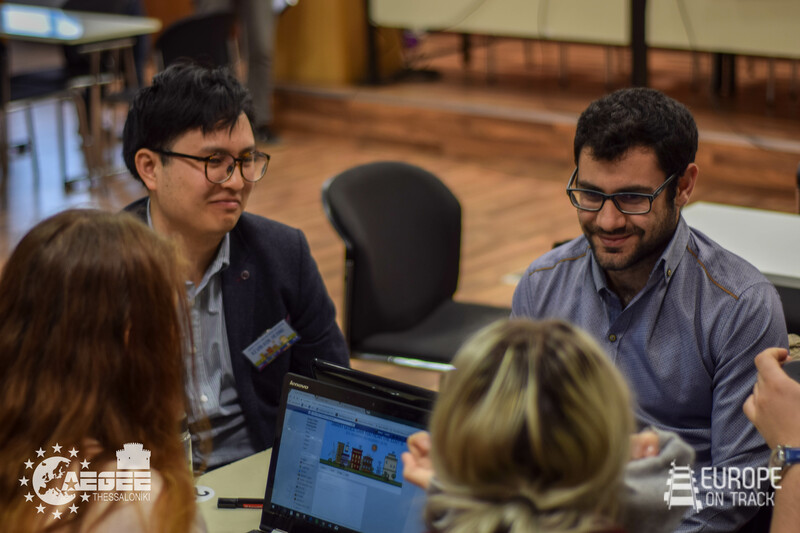 Together, the project team brought life to the room as they introduced the topics to be discussed and shared their knowledge about Smart Cities. Content Manager, Alexia Thomas, called to action with her powerful speech as she states that ‘cities are full of potential and the call for change cannot be missed to create a sustainable future – knowledge is power’. Leading into the same momentum was the first guest speaker, Mr. Dimarelos, Deputy Mayor of Urban Resilience and Development Planning. He passionately introduced the topic of resilience and the city strategy as a bottom-up approach, stating that ‘In order to become a smart city, first we need to work towards becoming an interconnected city.’ This bottom-up theory was brought forth over and over throughout the days to come – proving that it is indeed the concept of the future. The second speaker was Mr. Papaioannou, who is working at the Youth Information Center of the General Secretariat for Lifelong Learning and for the New Generation of Thessaloniki. 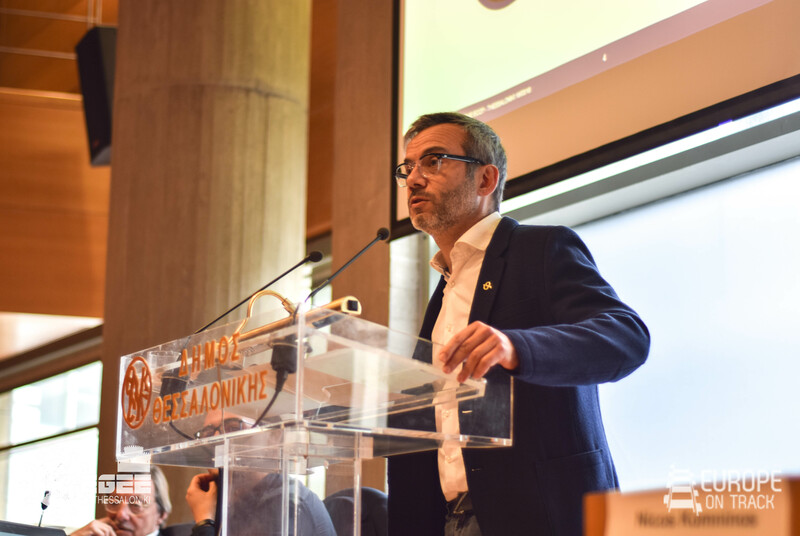 He presented his concerns on the aging Greek population and discussed how Thessaloniki needs to develop and work towards new ideas and innovation in order to maintain the youth in the city while stating that ‘Thessaloniki is a city ready to adapt to new things’. Following the main topic of the conference, words were spoken on how smart cities open new routes into sustainability. The panel speakers discussed their ideas and thoughts on issues in urban areas such as structure, greenspace, and road systems – especially that within the city of Thessaloniki. Mr. Zervas, former Deputy Mayor of the Municipality of Thessaloniki responsible for Environment, presented a very forward thought stating ‘If you want your city to run, first you need to teach your citizens to walk’ when speaking on pedestrian-friendly, walkability factors within a city. Mr. Flausch, the former CEO of Brussels’ public transportation system (STIB), introduced the concept of urban regeneration and states how public transport can improve mobility and quality of life. Mr. Kominos, director of the URENIO Research Unit (Urban and Regional Innovation Research), spoke about the major sustainability challenges faced by the world today and the planning of sustainable cities and neighborhood design. Mr. Politis, an engineer in transportation planning, traced the evolution of a walking city to the automobile usage city and discussed transportation planning. Of course, when speaking of the environment, we need to connect economic details. 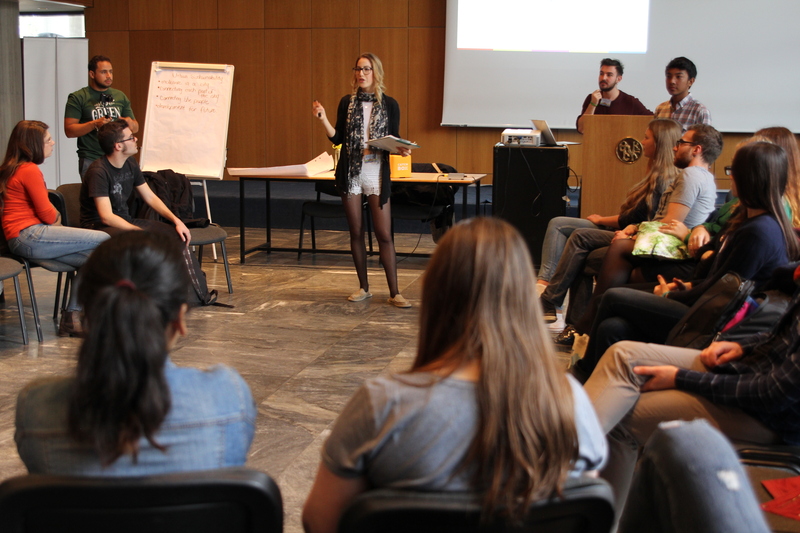 The concept of a smart economy was brought forth through the words of Mrs. Kakderi, a researcher at the Aristotle University of Thessaloniki, as she presented thoughts on important components of a smart economy being digital, circular, sustainable, and inclusive. There are three key factors within a smart growth paradigm which are the internet and world-wide-web, networks, and user engagement. Overall, the strongest development within the notion of a smart economy is inclusiveness of all partners involved. While some presentations focused on the ideas around Smart Cities, others played around more with the idea of Sustainability as a key concept to tackling climate change. For instance, when it comes to urban planning, there are ways to implement a sustainable approach such as green rooftops and renewable energy. Keeping sustainability in mind also leads us to engage in a more eco-friendly and proactive behavior in our personal lives. There were ten groups, all of which showed innovation, creativity, and uniqueness. The winners of the hackathon were ‘Happy Soil’, a very well thought out project on organic waste in Thessaloniki. Their concept was to create a circular use of organic waste to implement within vineyards and gardens who invest in organic fertilizers. As a circular approach, the public would be involved and given a household compost bin, free of charge. As an incentive, the participants in the program would receive fresh wine, flowers, and vegetables from the project team. The purpose of the project was to create a self-sustaining plan that is multi-beneficial. As winners, the group has the opportunity to send one team member to the Hackathon in Stockholm. Congratulations to the team of ‘Happy Soil’! 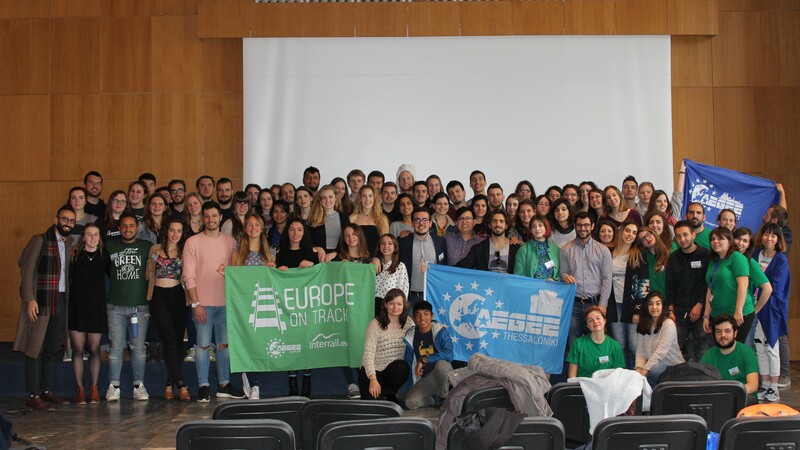 The conference was an overall success, not only thanks to the enthusiasm of the participants but also to the support of the sponsors, the university, and AEGEE-Thessaloniki. Check out the conference photo gallery here!